Final candidates chosen for the 2015 Drag Race Hall of Fame.com inductees. Along with Mike Summers, Joseph Gerdelman and Stanley C. Shoppel two other outstanding candidates are now included for 2015. Neal Hinkle a former racer from the Allentown, PA area and the Napp Family who built and operate the well-known Oldbridge Township Raceway Park in Englishtown, NJ. 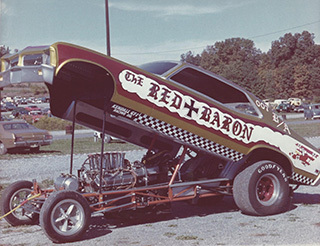 Neal raced for many years concentrating his racing endeavors in the Pennsylvania area at tracks like Vargo, Pocono Drag Lodge, Numidia, Island Dragway (NJ) and Maple Grove Raceway. Neal campaigned a 1961 Corvette in B/SP, a 58' Corvette C/A and the former "Jungle Jim" 1969 Chevy II as a B/A. Neal still dables with cars operating Neil's Performance Center, in Allentown, PA. 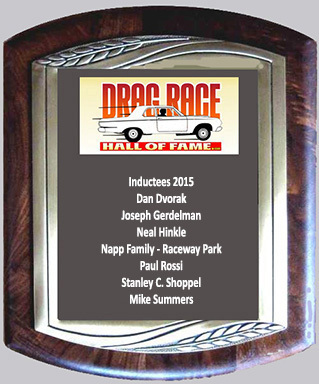 The last inductee f or 2015 is the Napp Family, who built and operate Raceway Park in NJ. The track has been one of the most historic tracks on the east coast throughout the 1960's and onward. Vinny and Richard, who have both passed away have left the track in the capable hands of sons Michael, Alex and David.